Giuseppe Peano was a philosophical Italian mathematician. He was born on 27th August 1858 at Spinetta, Piedmont, Italy. Belonging to a farmer family Peano was born and raised at a farm. He started his early education from a village school later to join a school in Cuneo. Realizing his talent and potential, Peano’s uncle took him to Turin when he was 12 years old. There he completed his secondary education from Liceo Cavour in 1876 and later got enrolled in the University of Turin. While at University, Peano originally intended to become an engineer but later felt inclined towards mathematics. He studied analytic geometry, algebra, calculus and descriptive geometry in first two years of his graduation and was the only student to carry on studying pure mathematics in the third year. He graduated as doctor of mathematics on 29th September 1880. In 1880, Giuseppe was appointed at University of Turin as an Assistant Professor. The same year he published his first mathematical paper followed by three more papers in the next year. In 1881 Peano was appointed to assist Angelo Genocchi, the head of Infinitesimal calculus. Over the next two years Peano took over the teaching of infinitesimal calculus course due to declining health of Genocchi. In 1884 Peano published a textbook on calculus which was his first major work. In 1886, Peano started lecturing at the Military Academy in Turin in addition to his teaching at the University. In 1889 University granted him his full professorship. The same year Peano gave his famous space-filling curve as a counter example which later came to be known as fractal. 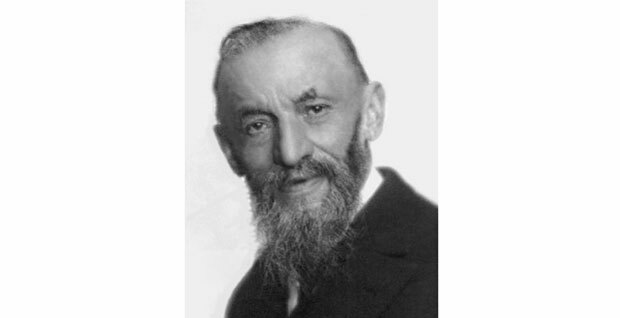 In 1891 Dr. Giuseppe Peano started his Formulario Mathematico project also known as Encyclopedia of Mathematics. It contained fundamental theorems of mathematics in a symbolic language developed by Peano. The first of the five book sets of Formulario Mathematico came out in 1895, while the last one was published in 1908. Many of the symbols and abbreviations introduced in the book are in common use today. “Each professor will be able to adopt this Formulario as a textbook, for it ought to contain all theorems and all methods. His teaching will be reduced to showing how to read the formulas, and to indicating to the students the theorems that he wishes to explain in his course”. Year 1901 saw the peak of Peano’s mathematical career. He had made advances in the areas of analysis, foundations and logic, made many contributions to the teaching of calculus and also contributed to the fields of differential equations and vector analysis. He was a chief pioneer in the development of mathematical logic. He announced his work on international auxiliary language in 1903 which was a complied version of English, German, French and most impotently Latin vocabulary. Giuseppe Peano died at the age of 73 on 20th April 1932 due to heart failure. At the time he was teaching at the University of Turin.